Deirdre is the founder and artistic director of Kaleidoscope. 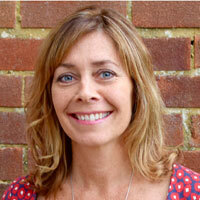 She is an experienced and inspiring drama teacher, drama examiner and theatre facilitator. Deirdre has a Drama PGCE (teaching post-grad) and she recently gained an MA in Theatre Directing at St Mary's University in London. When she is not managing Kaleidoscope, she can be found working as a freelance theatre director. Deirdre’s professional directing and assistant directing work includes One Minute by Simon Stephens in Covent Garden, an open air promenade production of The Tempest in Sussex, a Youth Theatre Company tour of DNA by Dennis Kelly, a large scale site specific production of Home Fires at Newhaven Fort and Trojan Women with Actors of Dionysus. She is currently directing and co-writing a play for the Brighton Fringe Festival. Hannah has taught and performed nationally and internationally in a variety of festivals and platforms including Brighton Dance Network performance events, Barcelona International Dance Exchange, Trinity Laban Conservatoire of Music and Dance Greenwich Dance (GDA) and at the Brighton Fringe Festival. Since graduating from the University of Roehampton, with a First Class (Hons) Dance Degree, she has taught children, young people and adults of all different ages and abilities in a variety of professional and non-professional settings. She specialises in teaching creative and contemporary classes and facilitates improvisation workshops. 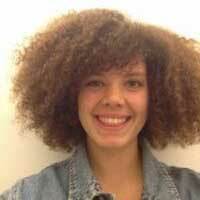 Molly is an enthusiastic dance teacher and teaching assistant who loves working with children. She leads our Pre-School Creative Dance classes. 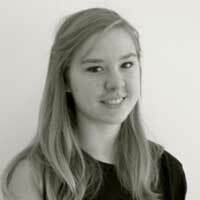 Molly was recently selected as a member of Sadlers Wells National Youth Dance Company and last summer she toured the UK performing contemporary dances choreographed by Sidi Larbi Cherkaoui. Molly dances at Laban Conservatoire in Greenwich as part of the CAT scheme (Centre of Advanced Training.) She is planning to go on to study a dance degree at a dance conservatoire next year. 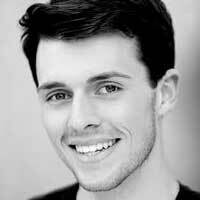 Vincent is an enthusiastic dance and musical theatre teacher. He gained his BA (Hons) degree at the Urdang Acadmey in London and recently toured Europe as a Lead Vocalist and Principle Dancer. Prior to this, he played a number of lead roles such as Adam/Noah in Children of Eden (Musical) and Angelo in Shakespeare’s Measure for Measure. Vincent is a member of the British Dance Arts Federation and he is a qualified exam teacher with British Dance Association.